Home Chris R. Borgia, Esq. Chris R. Borgia, Esq. won his first dsability case against the SSA while still in law school when a close relative who was severely disabled was denied multiple times. Mr. Borgia graduated from the University of Miami School of Law and founded Social Security Disability Law Firm, P.A. to focus his skills on the exclusive representation of the disabled. Mr. Borgia brings both his legal skills and the kind of knowledge that can only come through personal experience. 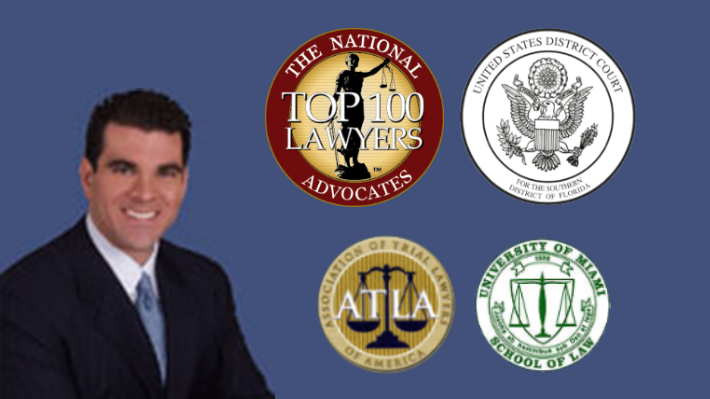 In 2014, Mr. Borgia was named as one of the “Top 100 Lawyers” in the field of Social Security Disability Law by the National Advocates Foundation. Mr. Borgia also served as Adjunct Professor at Florida International University’s Legal Studies Institute and is a frequent lecturer at the School of Law on Social Security Disability Law. Palm Beach County Bar Assoc. Current owner and chief litigator of the law firm dedicated to representing the disabled in matters before the Social Security Administration and the Federal Government throughout Florida. Law professor on topics such as: disability, personal injury and torts law. Handled all aspects of business and commercial litigations matters in state and federal courts. Assisted in criminal prosecutions in the juvenile and felony trial divisions. Court Appointed Special Advocate and Guardian Ad LitemLegal advocate for abused and neglected children. Principal OfficeSocial Security Disability Law Firm, P.A.